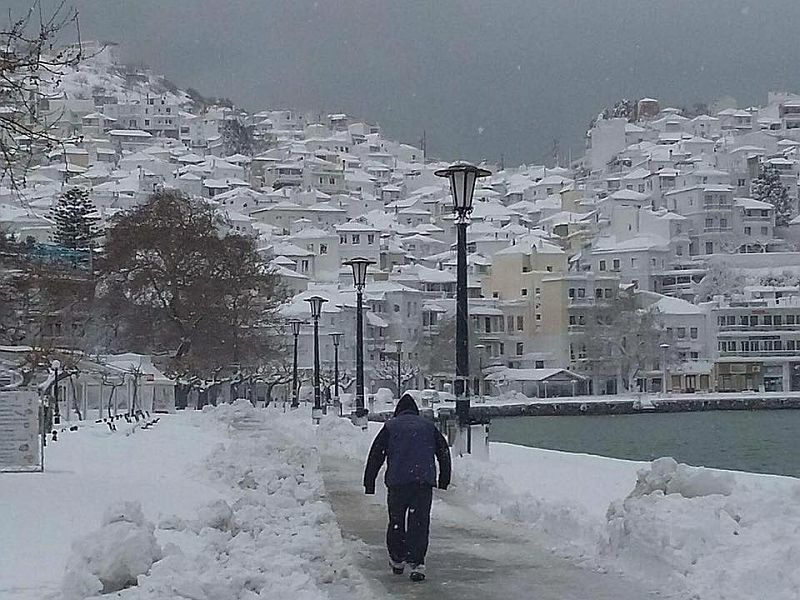 Probably the coldest winter that many of us can remember has arrived with a vengeance in Greece. As often happens Corfu – right over on the west – has not suffered as badly as other parts of the country (pictured), but it has still been amazingly cold, with many people experiencing such unusual conditions as frozen pipes and temperatures as low as -10C. Perhaps it feels worse because it is such a contrast to last winter which was incredibly mild.